Want your child to cook like an Italian? The Silver Spoon for Children is the best way to start. What if your child could make their own Pizza Margherita? What about Tomato Bruschetta, Tuscan Minestrone Soup, Rigatoni with Meatballs, Chicken Stuffed with Marscapone, Foccaccia, or Fruits of the Forest Ice Cream? All of these recipes, and more, have been adapted just for children from Italy’s best&hyphen;selling culinary bible. 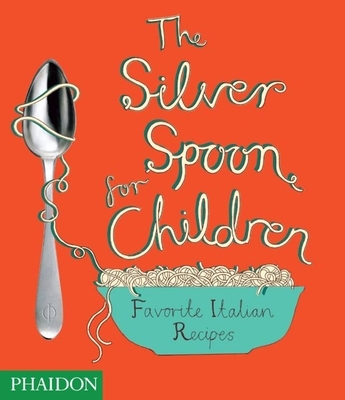 Broken into Lunches and Snacks, Pasta and Pizza, Main Courses and Desserts and Baking, The Silver Spoon for Children presents over 40 quick, wholesome and authentic Italian recipes that children aged 8 and above will love to cook and eat. The recipes have been thoroughly tested by an expert in children’s nutrition. The book also offers tips on cooking safely, which kitchen equipment to use, and how to make things as tasty as possible. Every step is described in detail accompanied by charming hand&hyphen;drawn illustrations and full&hyphen;color photographs of the finished dish that make the recipes fun and easy&hyphen;to&hyphen;follow. Amanda Grant is a food writer, broadcaster and mother of three. She has published several books about healthy eating for children, writes the Junior Cooks pages for Delicious magazine, and is passionate about teaching children about good food and how to cook. Harriet Russell is a successful illustrator with a particular interest in food and Italy.